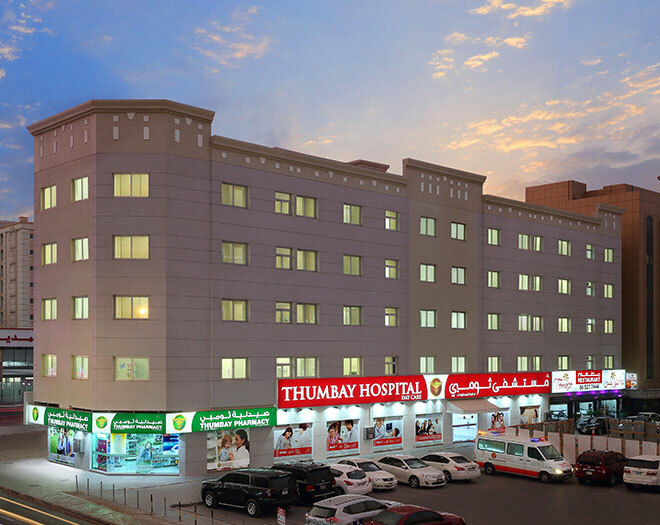 Thumbay Hospital Day Care is the latest addition to Thumbay Group’s healthcare division. 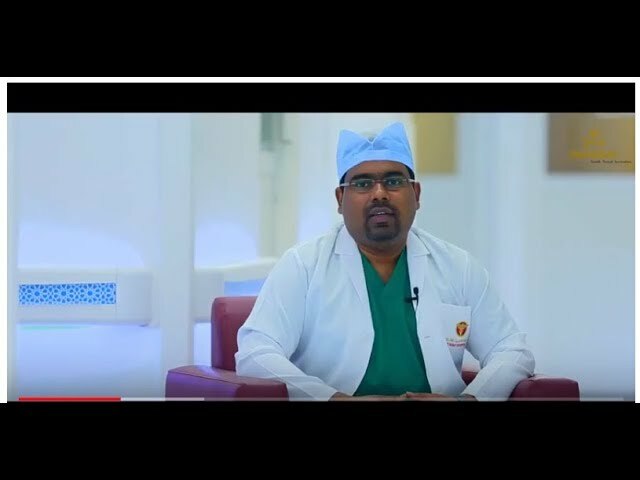 It is a state-of-the-art multi-specialty facility envisioned as a center housing all major specialties under one roof, where treatments and procedures are being offered to Thumbay’s patients as Day Cases - meaning no overnight stay in hospital is necessary and patients can rest and recuperate in their own homes. 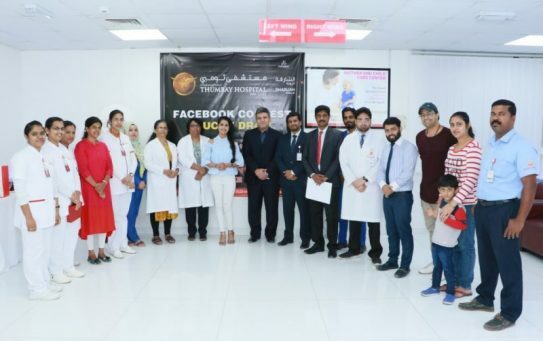 Fully-equipped laboratory, advanced radiology services with ultrasound and x-ray facility, trained personnel ensure optimum patient safety and satisfaction. 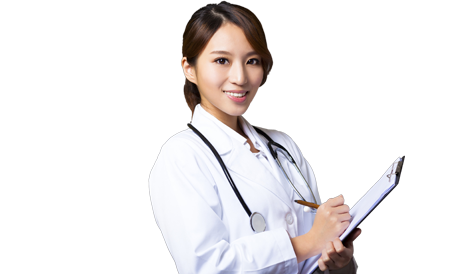 Latest technology along with excellent post-operative care and effective pain relief enable the patients to recover in just few hours. 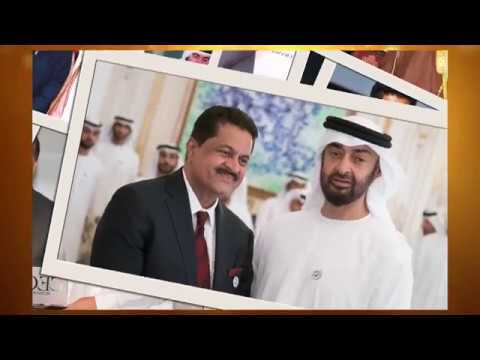 The facility is strategically located in the heart of Sharjah city in Rolla area, behind Rolla Mall. 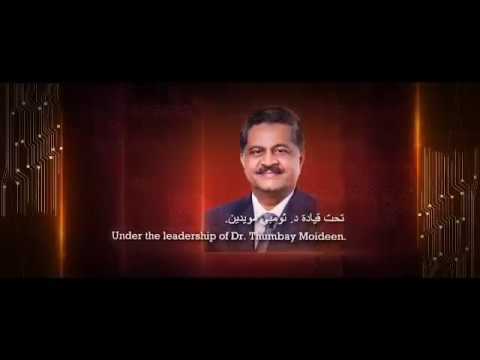 The facility is owned and operated by multi-diversified conglomerate Thumbay Group. 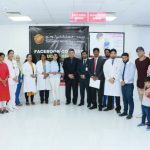 It was founded in 1998 by Dr. Thumbay Moideen across the emirate of Ajman, United Arab Emirates, and gained international reputation for quality healthcare providers and the region’s largest networks of private academic hospitals. 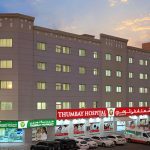 As a Centre of excellence for the delivery of affordable and quality-care, Thumbay Hospitals have become household name in the UAE, in less than two decades.